For those of us about to leave the familiar cocoon of education it can be a daunting time. For so many years academic institutions and assessed learning are all we have known and an end to that way of life can be abrupt and frightening. For others however, it may be a liberation, not everyone is cut out for academia. 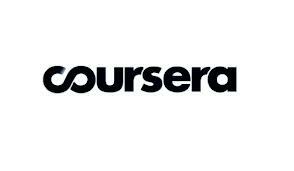 But for those of you who wish to continue their education and learning beyond graduation and into the future here is the answer: Coursera! ‘We are a social entrepreneurship company that partners with the top universities in the world to offer courses online for anyone to take, for free. We envision a future where the top universities are educating not only thousands of students, but millions. Our technology enables the best professors to teach tens or hundreds of thousands of students. 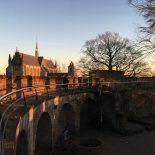 Leiden University has also got in on the action, the university’s first Massive Open Online Course (MOOC) will start in May: The Law of the European Union: An Introduction. Up to now, 18,000 participants from 78 countries have signed up. From 21 February it is possible to register for the second MOOC from Leiden University: Terrorism and Counterterrorism: comparing theory and practice. This course will be taught by Edwin Bakker, Professor of Terrorism and Counterterrorism Studies at the Institute of Public Administration and Director of the Centre for Terrorism and Counterterrorism (CTC) of Leiden University. There are a plethora of available courses to choose from at Coursera. I am currently taking ‘The Modern and the Postmodern’ with Wesleyan University in Connecticut and have found it absolutely fascinating. Each week there are video lectures and readings and over the course of fourteen weeks several assignments have to be submitted. The assignments are peer assessed which in itself is very interesting as you grade your fellow course students according to a set of criteria. So far I have been reading Kant, Rousseau, Marx, Flaubert, Darwin, Nietzsche and Baudelaire- things I have always wanted to read but never got round to with all my other studies. I always felt guilty when reading anything but my university course material. So if you’re about to finish your education, or even if you just see something that interests you then I encourage you to take one of the free courses and earn your certificate. It takes will power but it’s well worth the effort! This entry was posted on March 13, 2013 by admin@theleidener in Anna, Study.